Flight time 7 HRS 40 MINS FROM LONDON TO TORONTO. 1 HR 30 MINS FROM NYC. Landing in Toronto, we’ll have you chauffeured straight to your lodgings (for more information on our favorite Toronto hotels, please click here) for some post-flight downtime and a chance to freshen up for a few hours. When ready, you’ll be picked up by your driver for a quick transfer across to Queens Quay West. Here you’ll begin your adventure to the Toronto Islands for a sunset picnic. Paddle gently across the waterways and you’ll quickly forget just how close you are to the heart of the city. With your professional canoe guide to lead you, you’ll float through a bird sanctuary and pass stunning yachts and sailboats before jumping out for a gourmet picnic overlooking the sunset-kissed waters. As night falls, you will begin your journey back to shore while taking in the beauty of the Toronto skyline by night. On the first night of your trip you will get to gaze at one of the most recognizable cityscapes in the world. The next day, you will fully immerse yourself in the energy of this multi-cultural subwaypolis. Start your morning with breakfast at Buca in Yorkville before heading over to the Royal Ontario Museum. An architectural wonder that is the home of collections from all over the natural and art worlds, the Royal Ontario Museum is a world-renowned institution you won’t want to miss. Afterwards, wander the quirky streets of Kensington Market, a vibrant and multicultural part of Toronto that begs exploration. From its colorful street art to its vintage stores brimming with unusual books – you’ll want to spend an hour or two before getting picked up for your tasting tour of the infamous St Lawrence Market. After two days in Toronto, it’s time to board an overnight train to Winnipeg. You’ll be in a Prestige Suite, enjoying first-class service, food and accommodations as some of the world’s most stunning views roll past your window. It is a romantic and indulgent mode of transport that we urge everyone to experience at least once in their lives. By the time you pull into Winnipeg, you’ll be feeling fully rested from the excitement of your experience in Toronto. You will check in to The Fort Garry Hotel, the same hotel that King George VI and Queen Elizabeth stayed during their royal tour of Canada in 1939, where you will take some time to relax and unpack. When you’re ready, we’ll have a car waiting to take you for your private guided tour of the Winnipeg Art Gallery, which is home to the world’s largest collection of Inuit art. Your next stop is the aptly named Forks Market. Located in the heart of downtown Winnipeg, the market has been integral to the city for over 6,000 years and still pulsates with locals picking up gourmet produce with various forms of entertainment. The next day might just be the most exciting of your whole trip. After breakfast, you’ll be picked up, given your pre-packed picnic and escorted to a private helicopter for your transfer to Gimli. Gimli is a small, non-touristy town that is the home of Crown Royal’s mammoth distillery operation. Here you’ll be greeted by a Crown Royal representative who will take you on an insightful tour of the distillery, where you’ll get to enjoy tastings straight from the barrel before enjoying a cocktail-making masterclass with a skilled local bartender. Get your creative juices flowing as you learn more about the perfect cocktail combinations using vibrant ingredients and the unique, smooth flavors of Crown Royal. Gimli boasts a beautiful location right on Lake Winnipeg, which just so happens to be the freshwater source for Crown Royal’s award-winning blends. We thought it would be fitting for you to enjoy your luxe picnic on the lake’s sandy shores. Take in the beauty of this local spot as you look out across the water, feasting on local produce and sipping a glass of Crown Royal, served however you like it best. When you’re ready, you’ll head back to your helicopter for your round trip to the energetic Winnipeg, where you’ll no doubt start to think your time in Gimli was all a dream. Your few days in Winnipeg will pass in a wonderful blur of fascinating culture, incredible whisky and great food. Before you know it, it’ll be time to hop on your plane to Alberta where you’ll discover Canada’s most stunning national parks. 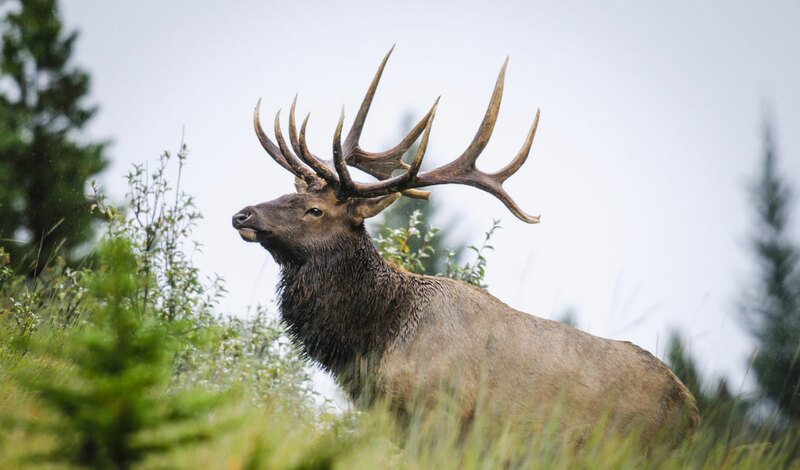 Once you land in Alberta, you will pick up your rental car, drive to Banff and check in to your luxury abode (for more information on our favorite Alberta hotels, please click here). That night you will spend the evening in Banff Town before getting an early night sleep so you’re ready for the next two days of mountain explorations. Waking up to the smell of fresh mountain air is a pure delight, and even more so on a day that you know you’ll be taking to the skies above Banff National Park in a private helicopter. Your tour will take you over the Three Sisters peaks and the Marvel Pass before a quick pit stop 7,200 feet above sea level. Stretch your legs and get snap happy until it’s time to climb back in the helicopter for your trip back. This is an exclusive experience that will stay with you forever. Many people choose to take the tour to propose or celebrate an anniversary, but we say just being in Banff is reason enough to celebrate. Go on, treat yourself. The drive along Alberta’s Icefields Parkway is an experience in itself, thanks to the mountains bearing down on you and the alpine lakes glistening in the distance. Keep an eye out for foraging bears and other wildlife, for you are truly in the heart of wild Canada. With your Black Tomato supplied map to guide you, pull up to the start of a lesser-known hiking trail and begin your journey past sparkling lakes, soaring mountains and lush greenery. Once you’ve reached your peak, settle down to toast what’s already been the trip of a lifetime with another glass of Crown Royal. 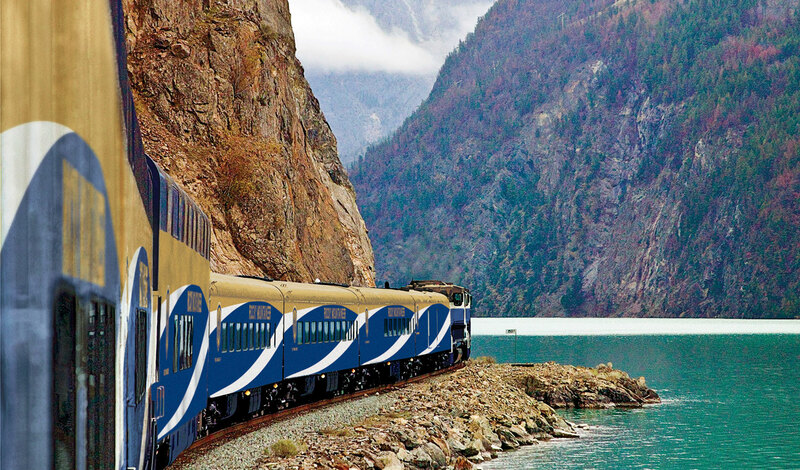 It’s now time for the final leg of your journey, and you’ll be traveling on the world’s most famous train – the Rocky Mountaineer – from Banff to Vancouver. Watch in awe as you journey through the Canadian Rockies, absorbing the untouched natural beauty that abounds here, before pulling into Vancouver, one of our all-time favorite cities. Here, you’ll have three days to indulge in the best the city has to offer. A wander around Gastown, the city’s oldest neighborhood, is an absolute must, as is a full day in Stanley Park, where you’ll discover picture-perfect beaches, iconic totem poles and vast expanses of greenery. Begin another one of your days with a trip over to Granville Island where you can discover the gourmet delights of the public market and the artsy vibe the area is famed for. Now, for the ultimate send off. We’ll arrange a float plane experience for you. Take in the spectacular views of the city from above before descending into Vancouver Island for a mesmerizing whale watching experience. A culinary and adventure hot spot, you can also spend your time on this pretty isle hiking or biking before you settle down to a stunning sushi dinner at Nori. As you fly back to the mainland for your final night in Canada, you might already be thinking of your next trip to this North American jewel. Black Tomato and Crown Royal, the travel-planning dream team? We’re starting to think so.